“You might think I’m obsessed with the rich. 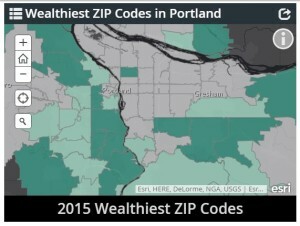 On Friday I published The List of wealthiest ZIP codes for 2015 – an annual Business Journal ritual – provided by Esri’s Data Development team.Then I followed it up the same day with a look at the metro area’s 10 wealthiest ZIP codes. And now I’m at it again, introducing you to the interactive map below which allows you to click a zip code, any zip code, and see demographic data on it pertaining to wealth.” Click here to view the map.